Specialized in contemporary art, the gallery energetically supports experienced and emerging international artists from France, Italy, United Kingdom, Portugal, Bulgaria, Austria and Argentina, promoting the conceptual force of their projects. 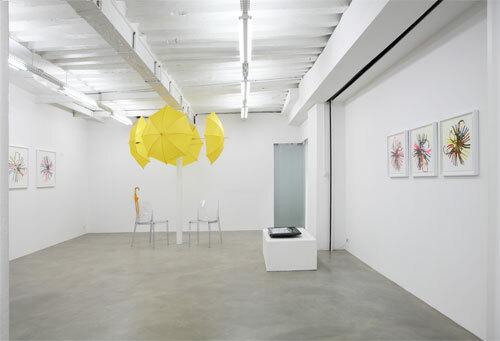 The gallery also encourages artists’ experimentation in space and urges them to work in balance with their environment. The understanding and analysis of our time is the main purpose of their reflection. The gallery represents Gayle Chong Kwan, Marie Denis, Christian Fogarolli, Florence Girardeau, Luciana Lamothe, Marie Lelouche, Marco Luytens, Ivan Moudov, Fritz Panzer, Michelangelo Penso, Esther Stocker, Joao Vilhena.